For applications requiring substantial support, the Portland 4" Corbel fits the bill. In addition to offering hefty functionality, this sleek corbel brings a modernist aesthetic to contemporary decors such as the kitchen, living room or study. 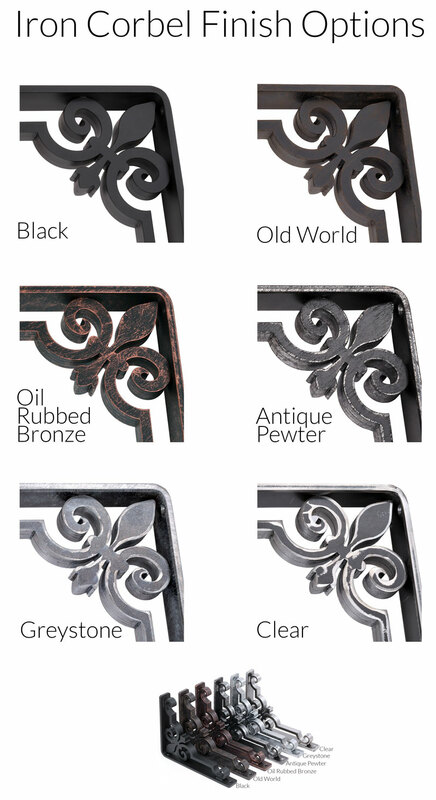 Each is hand wrought from steel giving it a unique appearance. In addition to the standard unfinished version, a range of premium finishes are offered including classic black and several metallics. 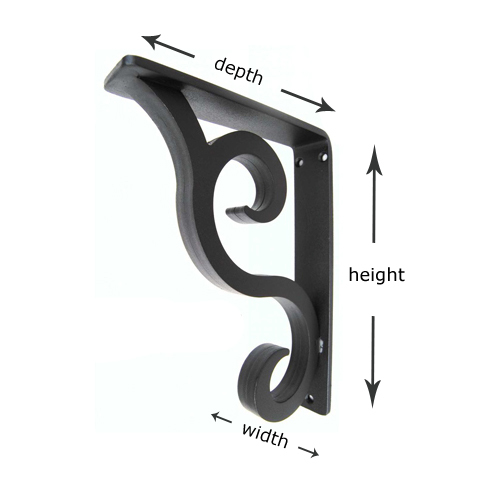 If you require a thinner corbel, but like the style�check out the 1.5", 2" and 3" Portland Corbels. Note: Corbel has 1/4" thick L Bracket and pre-drilled holes for mounting. If you need top mounting holes, select this option.